What does this Tiger Paw have to do with Boys State? Keep on reading and prepare to be surprised. American Legion Boys State is among the most respected and selective educational programs of government instruction for high school students. It is a participatory program where each participant becomes a part of the operation of his local, county and state government. Boys State has been a program of The American Legion since 1935 when it organized to counter the Fascist inspired Young Pioneer Camps. The program was the idea of two Illinois Legionnaires, Hayes Kennedy and Harold Card, who organized the first Boys State at the Illinois State Fairgrounds in Springfield. The American Legion Auxiliary sponsors a similar program for young ladies called Girls State. At American Legion Boys State, participants are exposed to the rights and privileges, the duties and the responsibilities of a franchised citizen. The training is objective and practical with city, county and state governments operated by the students elected to the various offices. Activities include legislative sessions, court proceedings, law enforcement presentations, assemblies, bands, chorus and recreational programs. 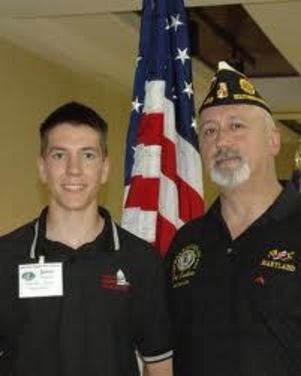 High school juniors are selected by local American Legion posts to attend the program. 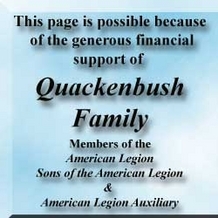 In most cases, expenses associated with attending this program are paid by a sponsoring American Legion post, a local business or another community-based organization. Only males who have successfully completed their junior year of high school and who have at least one more semester remaining are considered. Previous participants of a Boys State competition are not allowed to attend a second session. Only those who illustrate leadership, character, scholarship, loyalty and service in their schools and community should be considered. Merit and ability are the basis for evaluation during the actual citizens selection process. Boys State competitions are in compliance with federal handicap laws. Most programs require a medical/parental consent certificate signed by a parent and registered doctor. The ideal method is for schools to recommend lists of eligible candidates to local Legion posts. The post would then conduct interviews and select their representative(s) for the program. 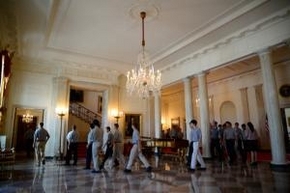 In Maryland, Boys State is conducted annually and typically begins on Fathers Day and runs through the following Saturday. 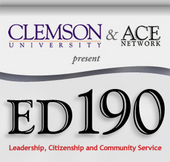 Clemson University has partnered with The ACE Network and your state program to offer you college credit in conjunction with your participation this year. The course, titled Leadership, Citizenship and Community Service (ED 190), is a three credit hour course which can be transferred as elective credit to any university that you choose to attend. Understandably, accepted credit is a decision ultimately made by each specific institution. The ACE Network was founded by Girls State and Boys State programs throughout the nation simply to accomplish its namesake purpose to “Advance Citizenship Experiences” of Girls and Boys State participants in every state. This affordable and quality college course is one of the key proud accomplishments for this organization. Each year, hundreds of rising high school seniors just like you take advantage of this opportunity solely afforded to Girls and Boys State “citizens." Upon completion of the course, please check your Blackboard account for your grades. Colleges do not send home “report cards.” If you have previously completed the course and would like an official transcript, instructions for doing so are here:http://www.registrar.clemson.edu/html/transcript.htm. Or, you can access a copy of an unofficial transcript by entering the Student Information System with your username and password here:http://sisweb.clemson.edu/. If you need assistance with your username and password, please call 864-656-3494.